*UPDATE* – A huge number of responses agreeing with this article can be read here! 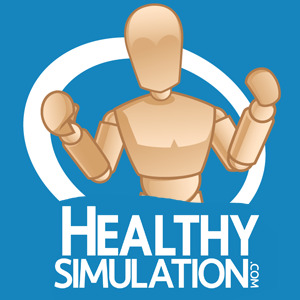 We’ve never actually met, but I’ve followed your stuff for a long time on HealthySimulation.com. I’ve been a Sim Tech for about a year and a half coming out of a education and engineering background. Being a Sim Tech is fun and rewarding in its own rite, but the pay and the current role that I play at my current institute is terribly low and underplayed, respectively. I’ve noticed more Sim Centers looking for some medical credentials in Operations level candidates so that also makes it tough to move on. This is the current view of the facility I work at as well. What advice can you offer to those of us who see a future in Simulation, but seem to be hitting a brick wall in terms of advancement? Thus, healthcare groups who administrate healthcare training or educational departments first thought when creating job descriptions is to hire someone who knows healthcare, because that is the “extension” of their knowledge into the unknown. I would say that this is actually the correct assumption up until the point that operation of technology is involved — where from there is a “historical” gap of knowledge regarding the technical experience and skill sets necessary to manage IT, A/V, computer software and more. So simply put here, one is more likely to hire for what you know, then what you don’t know. What does all of the above mean for healthcare administrators and clinical educators in the modern age? The U.S. Department of Labor reports that “currently, the average age of a nurse in the United States is 50 and nearly one-quarter of physicians in a 2007 nationwide surveyed were 60 years or older”. While technology integration has clearly entered into mass-adoption by all generations including ‘baby boomers’, by no means were the bulk of today’s senior healthcare educators natively born into the ‘digital age’ — as opposed to say current youngsters who grow up glued to ipads for hours on end. In other words, the deeper understanding of technology and what is necessary to make technology work by those who have spent their careers in non-technology-based work will –most generally– be very limited. Taleb notes here that to go against known “historical knowledge” opens the door for large consequences, which requires “more robustness” to break through. Thus, risk-aversion may prohibit your simulation program from moving forward for some time. Before continuing, let me share that some of the best simulation technicians I have met have a primary background in healthcare. 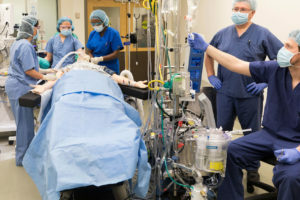 Why those simulation technicians succeed is why any simulation technician succeeds in this emerging professional career: because they showed up to work every single day excited to learn and share something new. 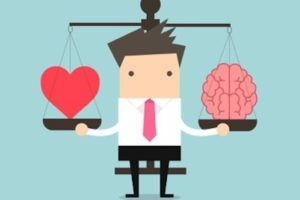 In all of my articles about best hiring practices for medical simulation staff, I always conclude by saying that beyond the numerous benefits of technical or administrative experience, the most important thing administrators can do for their program is to hire individuals who “will never get tired of learning”. Endless innovation though means constant change, and change is hard. This issue, therefore, goes beyond hiring. I must be honest and share that I have encountered healthcare educators in charge of simulation programs who treat technologists like tools, rather than actual people. This unprofessional behavior actually extends beyond technicians to include program managers and administrative assistants as well. I have found that the programs with such arrogant administrators almost always lose their simulation staff within three years. I have encountered countless stories of simulation staff who have quit a job they truly love because of a serious lack of communication, unsupportive work environment or absence of personal and professional respect. 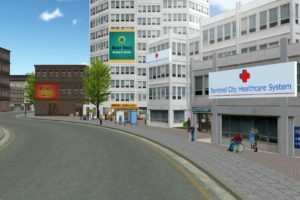 In my own past as a Simulation Technician I myself have quit high-paying medical simulation jobs because I soon realized the leadership of the employing institution did not really support the simulation program, my position, my years of technical experience, nor my long-term career in general. The reality was that for whatever reason, money had been put into the shiny simulation equipment with no thought to program development, educational outcomes, daily operation or utilization. Allen Giannakopoulos, Corporate Director for Reengineering and Redesign at Baptist Health and SSH Treasurer, reminded us at HealthySimAdmin that in 2009 a survey of medical simulation program administrators found that only “about half had ongoing operating budgets”. Thus, this problem goes beyond just an understanding of technical staff, but of simulation staff in general. But with specific regards to communication, how can we expect the level of respect necessary for technical staff if we are talking about an industry that cannot even fully respect its own community as the expected standard? The horror stories of deeply failed and sometimes egomaniacal communication practices between doctor vs. doctor, doctor vs. nurse, nurse vs. nurse, and provider vs. patient are I believe mostly to blame for why Medical Errors are now the 3rd leading killer of Americans. (To learn more about this, read “Beyond The Checklist” for countless examples of such healthcare communication errors and how the aviation industry dealt with the issue fifty years ago — Healthcare in general needs a wakeup call to the modern age, and technology is exposing that more now than ever before). Of course, not all healthcare simulation programs have enabled this kind of thinking. Just speak to any of the Sim Techs or simulation operators who attend SimGHOSTS and you will be connecting with personnel from a program that “gets it”. 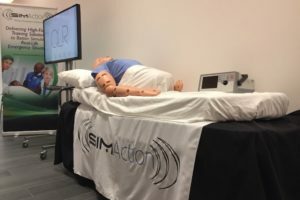 85% of 2013 attendees to the SimGHOSTS 2013 event responded they had “strong to strongest influence of simulation technology lab purchases”. 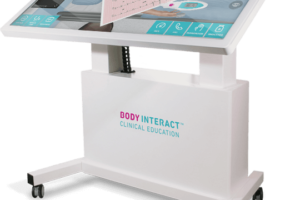 Thousands of simulation centers around the world have realized that by empowering simulation technicians and program managers, they will see among other benefits: better learning outcomes, increased efficiency with higher utilization, and more staff retention. Vendors like B-Line Medical, Pocket Nurse and Laerdal, who continue to sponsor SimGHOSTS events know that investment must go beyond their equipment and supplies, to the people who will put them into best use. Having visited hundreds of simulation programs around the world and met with thousands of simulation administrators, the noticeable difference between those who succeeded and those who did not was simple. More on this below…. So how do we encourage innovative thinking in organization’s that are missing the “technology” piece of the puzzle? “In psychology, we call the cognitive barrier the illusion of explanatory depth. It means you think you fully understand something that you actually don’t. Thus, from Dr. Markman we can see the need to is encourage administrators to go beyond their historical knowledge to include innovative thinking. In a presentation I have given at SimGHOSTS and HPSN, I spend a solid hour sharing how technical staff can guide administrators to increase their support for better program outcomes, increased utilization and happier employees — all through planned communication strategies. Unfortunately, there is no one sentence that can help to make a higher administrator instantly get it. There needs to be a long-term discussion, which you must be willing to accept, may end in failure as some administrators will are not able to wake up to the real needs or opportunities of medical simulation. Administrators that understand successful leadership means a shared mental model with respect and space for the specialized knowledge to communicate itself are the managers I have seen have the most successes in medical simulation. Steven Speilberg when asked how he had become such a successful film-maker quickly replied: “I hired the right people, and then I got out of their way”. Simply put, admins who are willing to be robust enough to get over what they don’t know about technology, will be the ones to move beyond historical knowledge and learn that there is no simulation center without simulation technology. And there is no simulation technology without a technical-trained simulation technology specialist! Disagree? Want to add something? Visit the full article and submit a comment at the end! *UPDATE* – There have been a huge number of responses to this article, which you can read a summary of here! I am an RN, and have worked in Simulation Education for several years. I have to agree whole-heartedly with you! As I have worked with colleagues from various programs, I have been rather shocked at the lack of IT support. I was spoiled in this regard with my previous location having a great Operations Manager and Sim Tech team – they could fix ANYTHING! Thankfully, they taught along the way so that I have a much stronger IT background now. There needs to be a balance for the program to run smoothly. We are fortunate at our facility to have a full time IT professional to attend to our AV/IT issues. 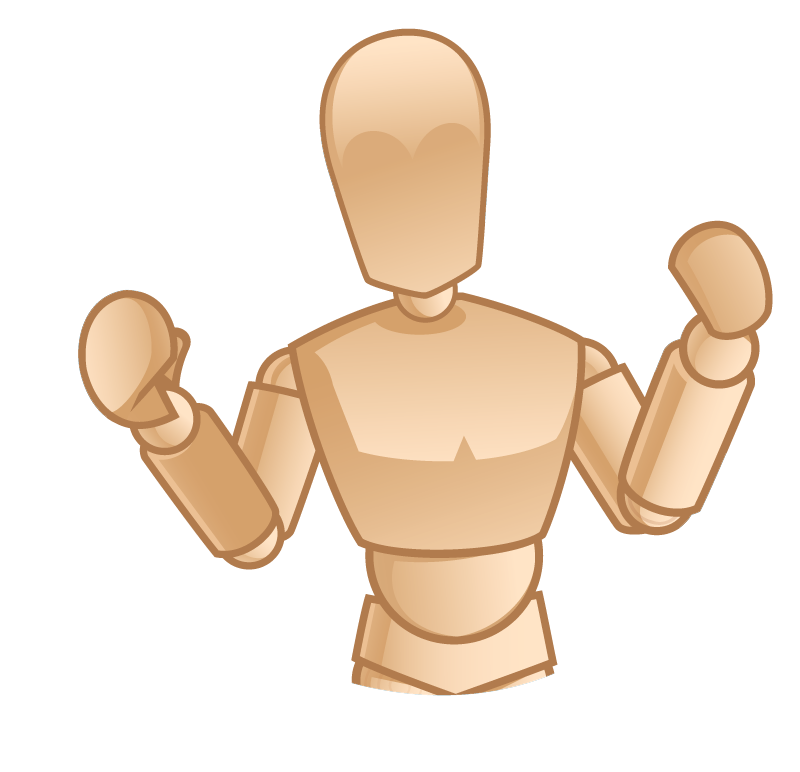 We run programs with SPs, task trainers, and high-fidelity mannequins. 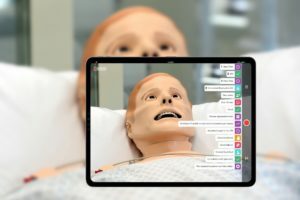 I personally find that having SimTechs with medical background essential – BUT – our SimTechs also function as Learner Allies (confederates) and as part of the ‘medical team’ in scenarios, must have some medical knowledge. We train our SimTechs to troubleshoot the mannequins and associated software and utilize our IT person only when necessary.  Our pool of SimTechs come from our full roster of Procedure Skills Instructors and we choose the ‘best of the best’ for this position. The fact that they can function in three different roles for us is a huge plus for our programs. I’m not sure what we would do if we didn’t have a full time IT professional, but I’m glad I don’t have to worry about that.